If You Voted for Obama You Are Guilty of the Sandy Hook Murders — 1389 Blog - Counterjihad! Everyone is all worked up over a school shooting at Sandy Hook, Connecticut – and well they should be. But what about the other evils that the public accepts? My mind raced back to the 1999 bombing of Serbia and the surrounding area. A filthy lying Democrat President had convinced the world that some nasty thing had been going on in the Balkans and that killing innocent Serbs would somehow remedy it. I can remember the graphic pictures. There was destruction everywhere. However, the Serbian people went on with life as usual. A friend with a daughter back in Belgrade told me of a phone call to her: She was going to a party, bombs or no bombs, her life was going on. The Culture of Death – YOU built that! Many Serbian civilians were not so lucky. I can particularly remember a photograph of a pre-teen boy who had lost his legs during the bombing. He sat in his wheel chair with two stumps. He would go through the rest of his life as a cripple because Evil Bill Clinton had so little respect for human life as to bomb the innocent. But, what did I expect? Evil Bill Clinton had run on a pro-abortion platform. How could a man who wants to kill unborn American children possibly care about the life of innocent children anywhere? 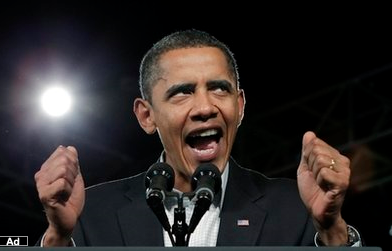 In 2012, those same insane voters reelected this hooligan, whose hatred of children had not changed one whit. How should we celebrate? One man came up with an obvious response: he would kill some of the children who had managed to be born in spite of the anti-life policies espoused by Barack Insane Obama at the time of their conception and birth. Yes, five years ago, Barry Soetoro, who took the Muslim name, Barack Hussein Obama, was still in the Senate voting to kill babies. Lack of respect for human life is a continuum. It is like a train line. It starts with abortifacient drugs and first-trimester abortions. It takes a short stop at the abortion of any unborn child. Later on the trip, we get to infanticide. Of course, bombing innocent countries into submission is on the list of whistle stops. Eventually, the train arrives at Auschwitz. So, if you voted for Obama, you most definitely voted for the Sandy Ridge massacre. You also voted for Adolf Hitler and every other evil dictator who ever lived. Sandy Hook was a false flag. There were several people involved in the shootings – witnesses and police scanners reported others involved. And here’s something creepy: “Sandy Hook” is a noted place on the map in the recent Batman movie and in fact it is pointed to in the movie, one of the only visible places on the map. It’s a domestic version of Fast & Furious – some murders artificially set up to make guns look bad. They HAD to know that making schools into “gun-free zones” would make them extremely attractive targets for anybody with an inclination to commit a high-profile crime. After that, all it takes are a few paid Internet trolls to egg on, and provide ideas to, those who are already so inclined.